I know for many this is a difficult image to stomach. 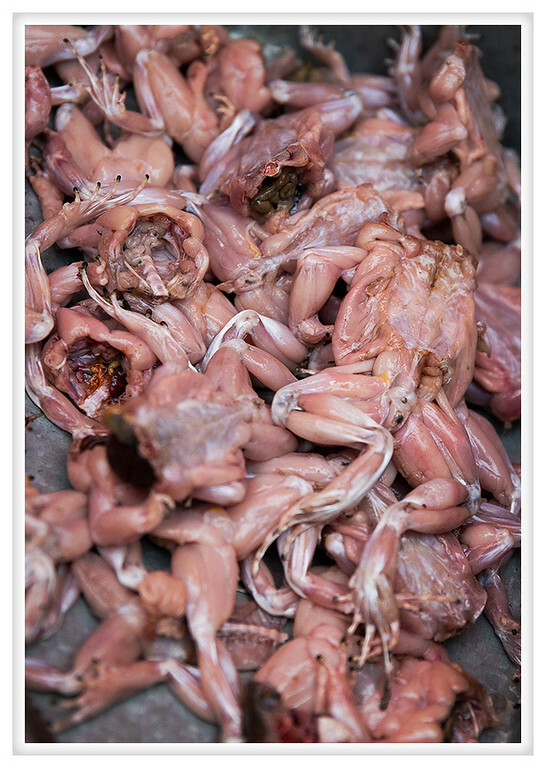 Frogs skinned and ready for cooking laid out in one of the many markets throughout Phnom Penh. It is the cost of eating truly fresh food that you cannot help but know where it comes from. I have another picture that I won't share of frogs for sale. They had been skinned but were still alive; moving and breathing. Bon appetit!